Looking to have an active workspace? Did you know that happier and healthier workers are also more productive! Back Centre offers a range of standing desks to suit your style, shape and budget. 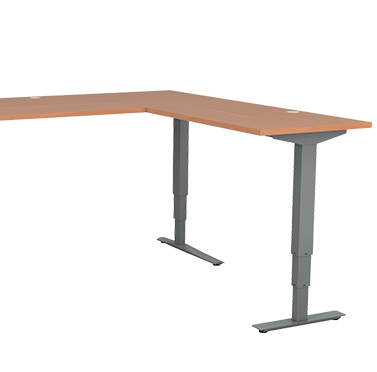 The Adjustable Standing Desk offers both comfort and ergonomic benefits. 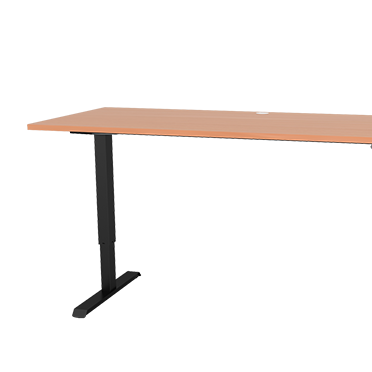 With its powerful motor, the desk height can be changed across the day for an active and healthier lifestyle. By using an electric adjustable standing desk, the working environment can be adjusted to suit your needs and promotes a productive and healthier well being. There are several options available, including variable weight capacity and a wide variety of shapes to suit and support your workstation needs. If you are struggling to choose a desk, contact us today to book in an Ergonomic Assessment. Back Centre trained ergonomics experts will be able to recommend the perfect adjustable standing desk to suit your needs and budget. The Sit Stand Workstation is a versatile height adjustable module that is portable and can be placed on your existing desk. There are a wide range of options, the adjustable sit stand module will suit your needs and lifestyle. By regularly varying your workstation position it will help to create a healthy lifestyle and decrease musculoskeletal and circulatory problems. 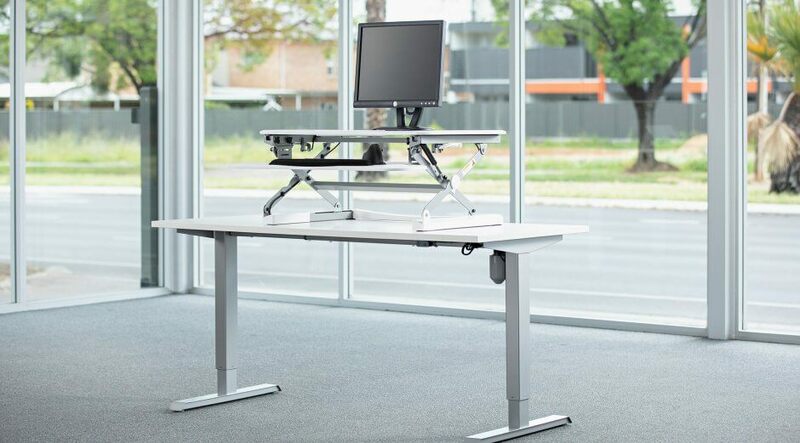 The sit and standing desk has revolutionised the way we approach ergonomics in the workplace. Regularly varying working position decreases the problem of musculoskeletal and circulatory problems. The Sit Stand Workstation suits any desktop, thanks to its straight up and down design with virtually no pinch points. With a wide range of options, the adjustable sit stand modules will suit your needs and lifestyle.